Heavy duty Hydraulic tripod base. Easy to use gas lift for quick height adjustments. Adjusts from 18″ to 24″ high. 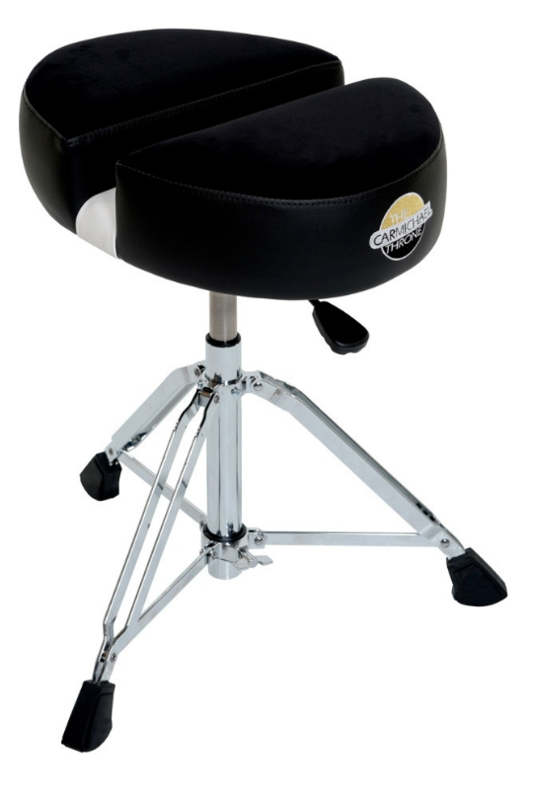 I need to take a moment to share the Most Important Component of our Drum Gear that is often overlooked…the Drum Throne! 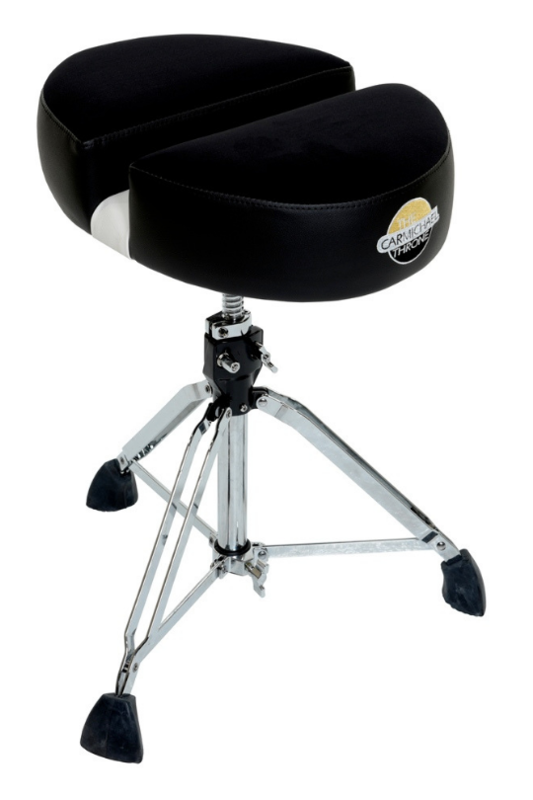 After 30 years of Drumming and using several different Brands & Models of Thrones out there I have now found the most comfortable; ergonomic; and road-worthy Throne available today by…The Carmichael Throne Company. 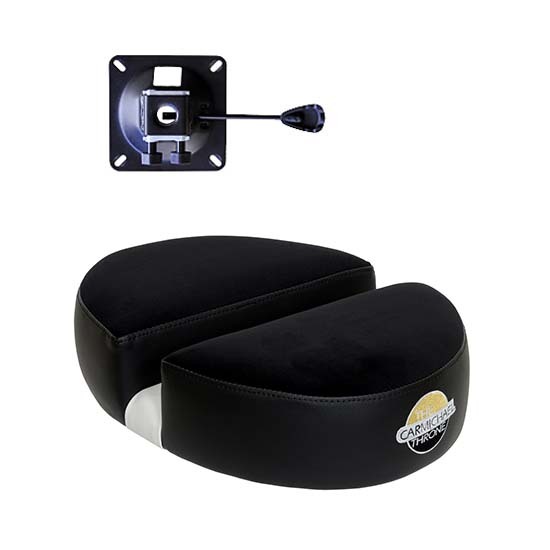 The NEW CT201 ‘Double-D’ Saddle Hydraulic Drum Throne is 13.5″ Deep x 17.5″ Wide with a 2″ Center Channel that greatly eleviates and in most cases eliminates drumming fatigue; back pain; tailbone pain; and pressure on the prostate. The Carmichael Throne has brought total joy back to my Drumming! With other Thrones I could only play for about an hour before feeling discomfort and eventually excruciating pain. 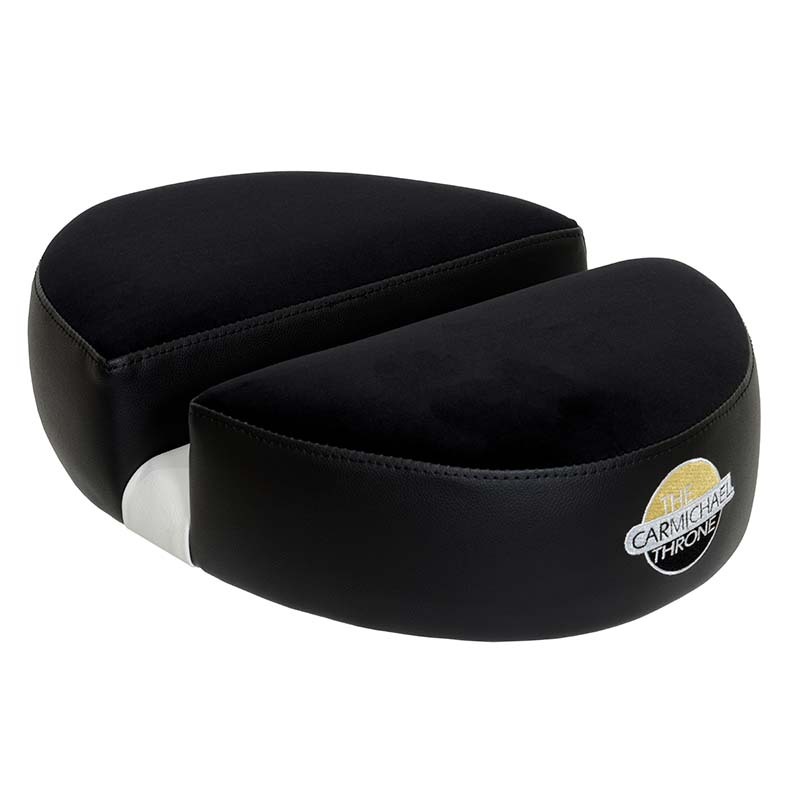 Now…I can play comfortably for hours without feeling fatigued, back or tailbone pain. There are many options available [including their ‘Classic’ CT200 15″ Round Top Throne] to get the Carmichael Throne right for you! Please check them out! You won’t regret it! Thank You Dan Carmichael for helping this Drummer and many others get back to really enjoy playing again! My name is Michael Leasure and I have been touring, recording and traveling with Blues/Rock Legend Walter Trout, Edgar Winter, Buddy Miles, Philip Sayce and countless other artists for 30 years. It has taken its toll on my back. Once I was introduced to Carmichael Thrones and the ‘Double D’, it changed my life forever. I can endure long sessions and gigs without back pain and fatigue that I always got from other thrones. To meet Dan and his wife in person was an awesome experience. I got to feel the love he has for his fellow drummers and the care, expertise and craftsmanship he puts into every single throne. Thank you brother for helping me go a few years longer in my career. Order yours NOW! !